Born in Liverpool, he studied modelling and stone-carving at GSA , winning the Haldane Travelling Scholarship, 1908, and became Head of Sculpture, 1912-28. In 1914, he shared a studio with Johan Keller , at 7 Woodside Place Lane, and executed the carving on the Dunfermline Carnegie Library, gavels for the Trades House and Old Deacons Club, and exhibited a bust of Sir Peter Coats and a bronze relief portrait of Rev. James Stewart, for Glasgow Cathedral. In May 1914, he was placed second in the competition for the statuary groups on the Kelvin Way Bridge, losing the commission to P R Montford , of London. During World War I, he served as a sergeant in the Artists Rifles and invented a protractor for the Vickers machine gun, and managed to exhibit Charon at the RGIFA , 1915. 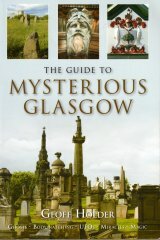 After the war, he resumed teaching at GSA and continued as an independent sculptor, executing the War Memorials at Grangemouth (1919); Bearsden (1924); and Greenock (1924); the allegorical figures representing Literature and Science on the south fa�ade of the Mercat Building at Glasgow Cross (1925-9); and produced a number of portrait busts and ideal work. These include Head of a Girl (1919); the Sir William McEwan Medallion, Royal Infirmary, Glasgow (1924-5); and a bust of Sir David McAuley Stevenson, Glasgow University (1932). He was also the sculptor of the portrait relief on the Evan MacColl Memorial Cairn, Kenmore, Loch Fyne (1930). Elected ARSA , 1921, RSA , 1932, and an FRSBS, 1938, he served as President of Glasgow Art Club in 1924-25 and 1939. Proudfoot married his assistant, Ivy Gardner, in 1955. GH [Obit], 11 July, 1957.